1. Extreme Affordability – Window blinds are incredibly affordable compared to other window coverings. 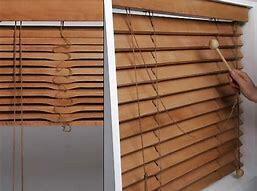 Custom-made two-inch, five-centimetre faux wood blinds are cheaper than custom-made drapes. It costs twice as cheap yet is more functional and can cover your entire window effectively. 2. Comes Various Styles & Design – Modern window blinds come in various shades of colours, tints, textures, patterns, design, and fabrics. That way, you can rest assured that there will be a window blind out there that can perfectly match with your interior design. 3. Offers Superior Privacy and Lighting Control – One of the best benefits that window blinds offer is excellent privacy and an array of different lighting options. A duette blind, for example, features sheer hanging during the day. That way, it will allow the light in and the drapery hanging at night to allow complete privacy from the outside. This blind, along with various other types of window blinds Adelaide, is multi-functional and can serve a ton of different application. It also has a streamlined look. 4. Blocks the Harmful Rays of the Sun – Window blinds have the cunning ability to block away UV light. It blocks away damaging ultraviolet rays, preventing it from entering your home. This feature is extremely important in protecting you and your furniture from fade and wear. 5. Superior Energy Efficiency – Window blinds promote an energy-efficient home. Since it creates an extra layer of insulation, it can reduce any unwanted heat during the summer season or any hot day. At the same time, it can also help retain heat during the cold season. With its ability to insulate temperatures, you can save on energy costs by not having to use your HVAC systems. You can also effectively reduce your carbon footprint. 6. Child-safe – Window blinds offer child-safety features. Child-friendly variants include cordless blinds, retractable blinds, and breakaway cord blinds. We hope this short list will give you some insight on the usefulness and relevance of window blinds Adelaide. Each blind offers its distinct advantages. Visit our website now and speak to one of our customer representatives. That way, you’ll know which kind of blind is best for your needs.